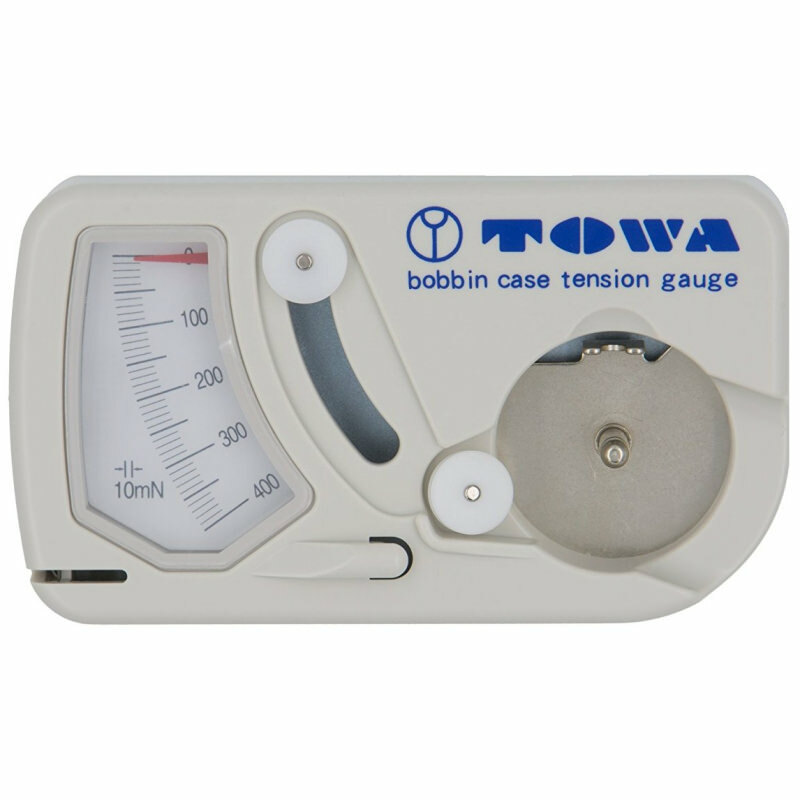 The Towa Bobbin Case Tension Gauge for "L" style bobbins makes it easy and foolproof to set bobbin tension accurately. It is simple to use, and no installation or setup is required. This gauge is designed for use with longarm machines using L-style bobbins, including all Highland embroidery machines. Insert an L Style bobbin into a bobbin case, or remove the bobbin case from your machine. Make sure the bobbin thread is not in the pigtail. Place the bobbin case with the bobbin into the gauge slot, snap into place. Wrap the bobbin thread around the two pulley wheels and around the plastic hook on the gauge. Steadily pull the thread and make note of the reading on the gauge. Typically, the correct bobbin tension is between 180 and 220 for tubular embroidery, or up to 250 for cap embroidery. Note: Proper tension can vary depending on the machine and the thread type/brand. You may even need to make minor adjustments for embroidering on different types of materials.